MAREB is a one-year research master, running from Late September to Summer. Teaching of the first two modules goes from the last week of September to the last one in January. Module 3 starts in February and finishes in April. The last term is dedicated to the master's thesis, which can be submitted either in July or September. Teaching takes place from Monday to Friday, between 16:30 and 19:30. Research seminars, meetings and conferences may take place at other times. 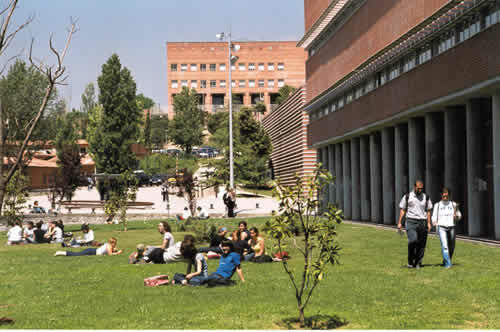 The holiday periods are those of UAB's academic calendar: In 2018/19 Christmas holidays run from 22 December 2018 to 6 January 2019, while Easter holidays start on 13 April 2019 end on 22 April 2019. The detailed schedule of classes and exams of modules 1 (Quantitative Research Methods) and 2 (Applied Economics and Business) between October 2018 and January 2019 is available here (academic course 2018-19). The second semester timetables in Entrepreneurship and Applied Economics are here and here (academic course 2018-19).